We guarantee to be at least 20% cheaper than Haven special offer discounted prices the same luxury Platinum rated 3 bedroom holiday home for the same dates! 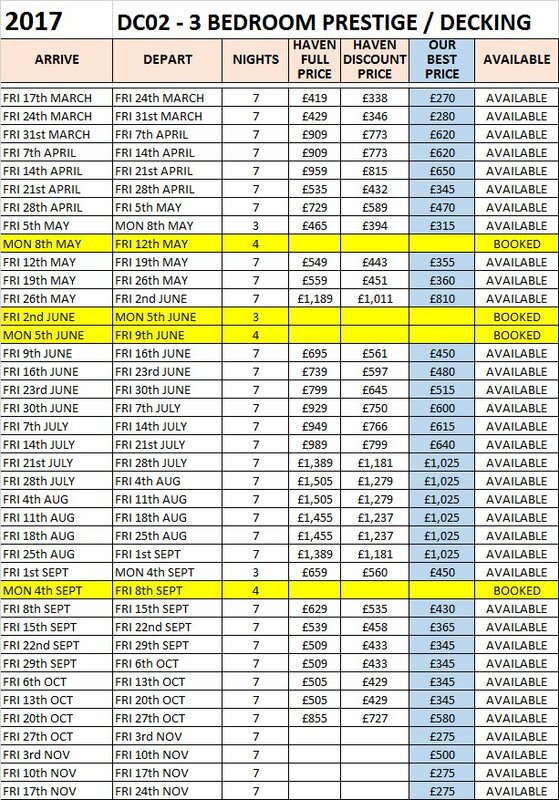 are also available, subject to availability. Please ask for details.